You've Tried The Rest, Now Go With The Best. Do's Custom Tailors provides custom tailoring, alterations, formal wear, and casual wear for the best-dressed men and women in and around Washington, DC. Our family-owned and -operated business has been helping people look and feel their best since 1963! Our business has grown primarily by word-of-mouth referrals thanks to the many satisfied customers we have served throughout the past 50 years! We provide custom tailoring for men and women at our store, conveniently located in Washington, DC, or by in-home appointment. You will be proud to wear custom-made shirts, suits, casual wear, or formal wear designed and created by the experts at Do's Custom Tailors. We bring the style and couture of New York to you! 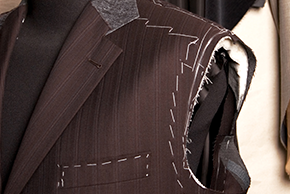 We also offer custom alterations for business suits, shirts, tuxedos, and formal or casual wear. Gained or lost weight? There is no need to buy a completely new wardrobe. We will alter your clothes to fit you perfectly again at a fraction of the cost of replacing them. We also provide alterations for the finest clothing establishments in the Washington, DC area. There is nothing like the special feeling that comes from wearing formal wear. From a perfect tuxedo for a man, to an elegant one-of-a-kind gown for a woman, we are the experts when it comes to designing and creating custom formal wear. For your added convenience, we rent and sell tuxedos for special occasions.